Bayer, Germany’s biggest pharmaceutical company, has announced that it will invest more than 500 million euros in its Wuppertal and Leverkusen manufacturing sites to establish additional capacities for the manufacturing of the recombinant factor VIII (rFVIII) haemophilia products that are currently in development. According to the media release by Bayer, the investigational therapy options for haemophilia patients– a plasma protein-free rFVIII (BAY 81-8973) and a long-acting rFVIII (BAY 94-9027)– are both currently in Phase III clinical trials. “This investment will be one of the largest in the history of Bayer HealthCare and reflects our strong commitment in the field of haemophilia A,” said Dr Olivier Brandicourt, CEO of Bayer HealthCare. The investment will see Bayer HealthCare create about 500 new jobs at its sites in Leverkusen and Wuppertal by the year 2020. Recombinant factor VIII protein (rFVIII) is used for the treatment of haemophilia A employing genetically modified cells to produce these human factor VIII molecules. The investigational plasma protein-free product BAY 81-8973 is an upgrade of the currently marketed Kogenate® FS/Kogenate® Bayer product, which is manufactured exclusively in Berkeley, California, USA. BAY 81-8973 will be produced without the addition of any components of animal or human origin. The company is planning to file BAY 81-8973 for approval with the regulatory authorities in the second half of 2014 with first launches planned in Q4/2015. In addition, the company is currently investigating its site-specific PEGylated rFVIII product which may improve the quality of life for people with haemophilia, as Bayer HealthCare recently announced positive results with the product, demonstrating protection from bleeds comparable to current prophylactic dose regimens with infusion intervals of up to seven days. Bayer is planning to file BAY 94-9027 for approval with the regulatory authorities in the second half of 2015. Bayer’s plan to invest more than 500 million euros in its manufacturing capacities reflects the success that the company enjoyed in 2013. “We met important business objectives in our anniversary year,” said Management Board Chairman Dr Marijn Dekkers on Friday at the Financial News Conference in Leverkusen. “We are optimistic for 2014 and plan further growth in sales and earnings,” Dekkers said. 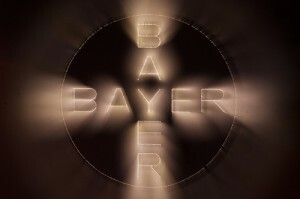 According to the media release by Bayer, the company expects to take special charges of approximately 200 million euros for restructuring in 2014, while increasing research and development expenses to 3.5 billion euros.